Soon, music lovers in London will have another way to check out their favorite artists. London's Olympic Park will partly reopen to the public this year for a series of summer rock concerts, officials announced Tuesday. The London Legacy Development Corporation said the east London park will host the Hard Rock Calling and Wireless festivals in July under a deal with events promoter Live Nation Entertainment. Headliners for the festivals have not yet been announced. Live Nation also will hold other concerts in the park's Olympic Stadium over the summer after gaining exclusive rights to the venue. The 560-acre site of the 2012 Summer Games is due to reopen to the public in stages between July and early 2014. 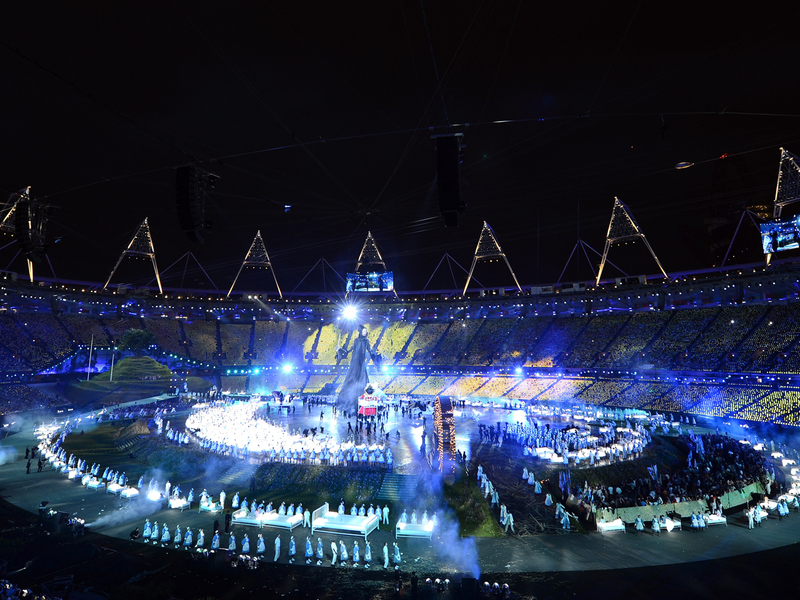 Last year's Olympics featured a star-studded roster of performers, including The Spice Girls, The Who and Muse. Live Nation is leaving its previous venue in London's Hyde Park after friction over noise and timing restrictions. Last summer fans were angered when officials pulled the plug on a Bruce Springsteen-Paul McCartney duet in mid-song.